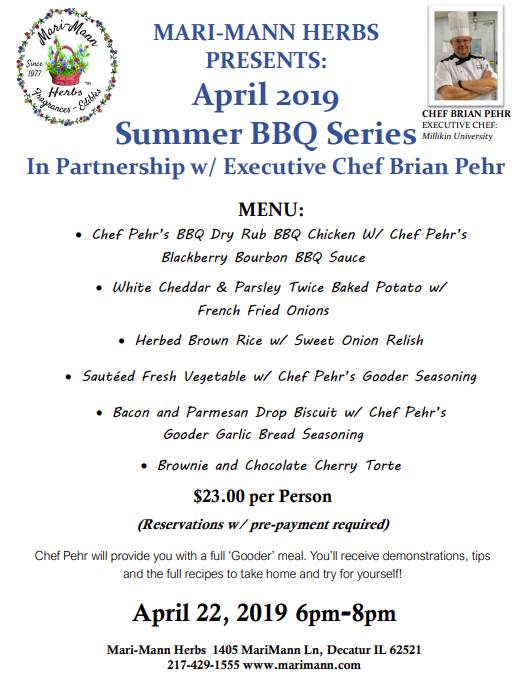 Gooder Cooking Show with Chef Brian Pehr BBQ Series/Grilled Chicken - Mari-Mann Herb Co., Inc. Gooder Cooking Show with Chef Brian Pehr BBQ Series/Grilled Chicken - Mari-Mann Herb Co., Inc.
Mike King is a medical researcher, nutraceutical scientist, and medicinal herb specialist. He also owns and operates Mari-Mann Herbs, a health food store/gift shop and herb garden open daily, and can be read in various health publications and heard on the radio. This information is not intended to diagnose, treat, cure or prevent any disease. It is for educational purposes only. Always seek the advice of a qualified health care provider with any questions you may have regarding a medical condition.